An elegant gold plated Virgin Mary charm teamed with a heavy link bracelet makes for an impactful statement piece you’ll wear again and again. 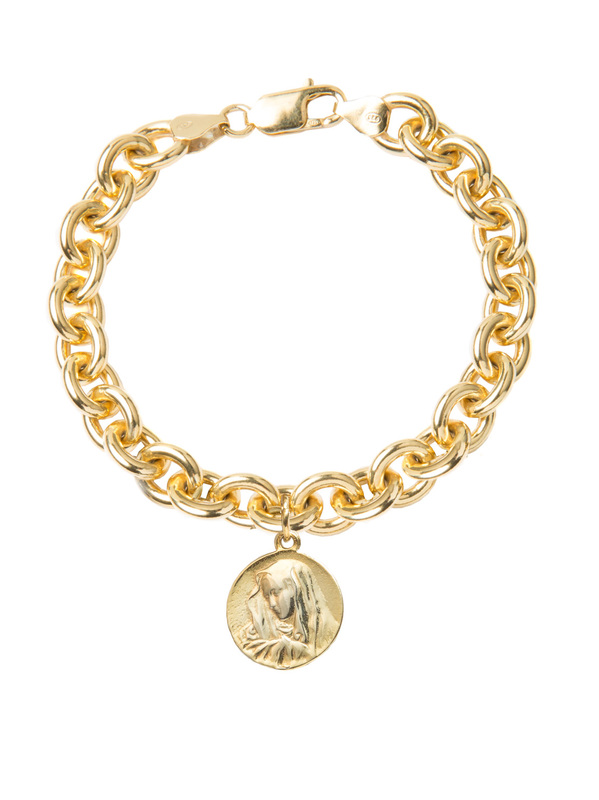 The sterling silver, gold plate bracelet is 19cms in length, weighs 35 grams and is 1cm wide. The charm is 1.75cms in diameter.